Art Week is notorious for lavish secret dinners, invite-only soirees and parties that never end. For anyone who just wants to be a bit basic this year, these are the events to attend. You don't have to know anyone at the door, you might have to buy a ticket. 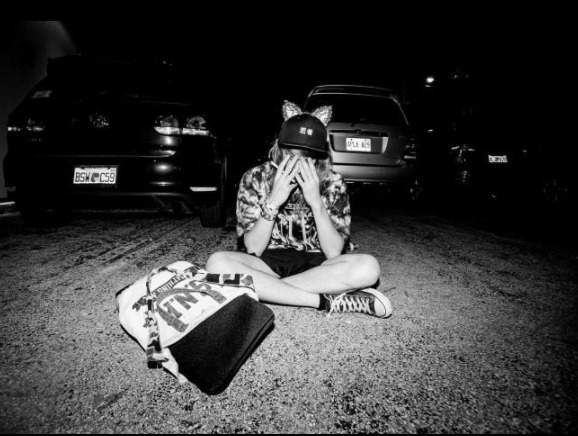 PAMM presents a one-night-only event featuring a performance by electronic musician and producer Cashmere Cat. This special celebration features DJ sets by Jillionaire of Major Lazer and Miami’s own Uncle Luke. Open to PAMM Sustaining and above level members, and Art Basel Miami Beach, DesignMiami/ and Art Miami cardholders. The New York cocktail bar pops-up for two nights on the lawn of the Washington Park Hotel in advance of it's late 2016 opening for two nights. Cocktails will be served. Starting on Wednesday, November 30, The New World Center’s projection wall and surround-sound system will be home to a selection of this year’s premiere program of films, videos and sound focused on artists whose works connect to music in some way. The lineup this year highlights international talents and is curated by Art Basel film and sound curator David Gryn, Director of Daata Editions. New York/Berlin-based artist Yvette Mattern creates a a large-scale public installation for art week using seven even beams of laser light to create a rainbow titled "The Global Rainbow". The piece will be visible, appearing in the night sky, from the Design District, across Biscayne Bay to Miami Beach. Not quite an event but worth noting. The piece was commissioned by The Ritz-Carlton Residences. That's right, the Super 8 hotel chain is currently re-doing their decor in North America and updating their art collection, so they'll be giving away 100 works on a first-come, first-served basis. III Points curates a trio of shows for the millennial crowd at Magic City Studios this week with musical acts spanning from Young Thug to Nick Murphy (Chet Faker). On Wednesday it's James Blake, on Thursday it's Young Thug and Shlomo. On Friday December 2, Todd Terje + Totally Enormous Extinct Dinosaurs + Tim Sweeney take the stage, presented in collaboration with by Slap & Tickle MIAMI. On Saturday, Nick Murphy – who recently abandoned his stage name Chet Faker – plays alongside Mount Kimbie. The Standard closes out the week with a special Basel edition of Lazy Sunday with Jeremyville, the hotel's latest artist collaborator. In between booze, BBQ, tunes, and tarot reading, stop by the Jeremyville pop-up shop.